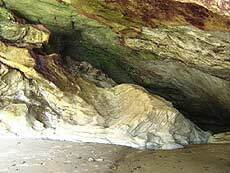 (Oregon Coast) - Secrets abound on these shores - and not just in the form of hidden beach spots. You'll be surprised how many useful little factoids exist somewhere under the surface. 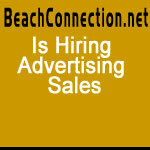 In fact, BeachConnection.net found an incredible array of tidbits - from birds, beach fires and public transportation to the famous "Second Summer." In the end, a ton of trivia-like information about the coast was discovered that has some useful aspect for the visitor. Some of it from tourism agencies on the coast, some from locals who gave BeachConnection.net the insider’s scoop, and some was just good old fashioned digging. These are overseen by Oregon State Parks, but most beaches have their own rules posted at the entrance. Quite a few don't even allow it, so make sure you check. Rules are often basic, but strict. 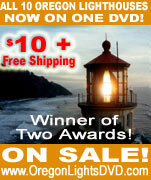 According to the Oregon Coast Visitor Association's web site: "Use small pieces of wood only. Large logs are prohibited. The fire must be west of the vegetation line, NO EXCEPTIONS. Build your fire away from the beach grass & piles of driftwood. Extinguish the fire with water. Don't just bury it. 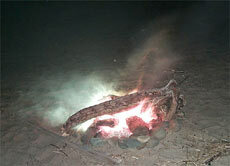 Doing this will allow the fire to remain hot and continue to smolder for hours. This could also cause someone to get burned." While it's true that August's annual meteor showers that splash the night skies can be seen anywhere in Oregon, make it a point to check it out on the coast. The crisp skies of a clear coastal night make for some incredible viewing of these. One spot on the coast that's legendary for viewing the showers is Mount Hebo near Tillamook, a ways inland from the beach. Pitching a Tent Just Anywhere? Nope. Not allowed. 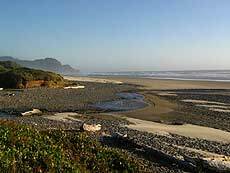 Places like Manzanita, Tierra del Mar and the chunk of Clatsop County between Seaside and Astoria outright ban camping on the beach, as do some state parks. And while it's not necessarily stated that it's prohibited to pitch a tent on some beaches, don't be surprised if authorities come and boot you. Read the signs at the beach access. As tempting as it may seem, any expert on the beaches will tell you not to sleep on any beach for a number of safety reasons. Many places require them to be on leashes on the beach, especially State Parks. Be sure to check the regulations at beach accesses. More obscure beaches and many beaches in front of cities don't seem to regulate leashes - but again, you must check the signage, if any. 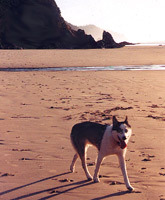 Oregon State Parks strongly urges you to "be a responsible pet owner regarding cleaning up after your pet so our beautiful Oregon coast beaches can be enjoyed by all." 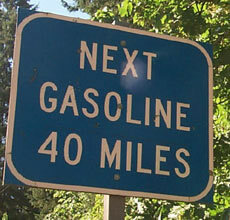 Highway 6, between Portland and Tillamook, has a 40-miles stretch where there are no gas stations. The last one until Tillamook is at about the 41-mile marker. Road signs on both directions of the highway warn where that gasless tract begins. 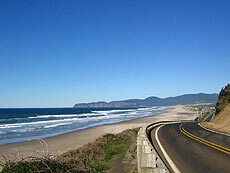 Get fueled up in Tillamook, or along Highway 26 before the Highway 6 junction, just to make sure. Along Highway 101, many gas stations shut down rather early, especially in the off-seasons. Towns like Yachats, Rockaway or Manzanita could find you stranded after the early evening, or stuck in one of the long stretches near there, between major towns. In Florence, Newport, Depoe Bay, Lincoln City, Tillamook and Seaside there are usually 24-hour gas stations, so watch your fuel gauge closely if you're making long trips late at night. Such availability may change from year to year and season to season. An interesting tip that may come in handy: If you are in danger of running out of gas, make it to a city with cab service. Sometimes, you can call on a cab to bring you gas in a can from their own supply. This isn't guaranteed, however, and they don’t advertise this at all, because they’re technically not allowed to do this. Besides, towns big enough to have cab services, like Lincoln City or Newport, usually have a late-night gas station somewhere. Aside from the one you’re reading right now (which has over 1200 pages to it, grows every day, utilizes some very cutting edge aspects of the Net and snags around 2000 to 3000 visitors a day), there are some other interesting websites about the coast that should be noted. More interesting coastal fun can be found at the Oregon Surf Page (www.oregonsurfpage.com), which is largely devoted to surfers, but it features plenty of other tidbits for the average tourist. 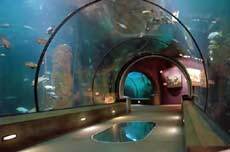 DiscoverNewport.com is the gateway to Newport, and the Oregon Coast Aquarium’s site is another engaging favorite. 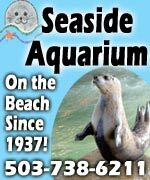 The Seaside Aquarium’s site is chock full of fun tidbits about this longtime landmark, and the 1940 Coastal Tour (http://arcweb.sos.state.or.us/exhibits/coast/back.html) is one heck of a kick in the pants when it comes to time traveling on the coast. Then there’s RegisterLocally.com. Instead of signing up at one particular large store for your wedding or gift registry, why not have the entire coast at your disposal with its unique, handcrafted items? They’ve also added another interesting slant by including the element of eco-friendly gift items, so you can buy with a good conscience. Are You 25 Years or Younger in Seaside? You may have a problem. Many lodgings in the north coast town don't allow young folks under the age of (approximately) 25 to rent a room without a parent or guardian. It's a popular hotspot for early twentysomethings, and young partiers have apparently ruined it for the rest in the eyes of many business owners. The age limit differs between lodgings, but it's generally around 23 - 25. It's best to call ahead to your favorite lodging to double-check. 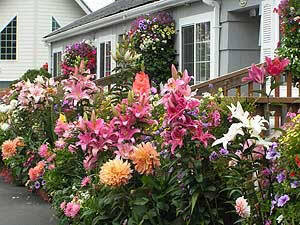 It's nicknamed the "Second Summer," and it's something that's still a bit of a secret to many in Oregon. The best weather on the coast happens in September and early October, often quite warmer than during the summer. The science of why is a long story, but suffice it to say the fact that lodging prices begin to drop and there are less crowds make that month and a half probably the best time to hit the sands. Did you know the coast has its own "Fossil Guy?" Newport's Guy DiTorrice runs fossil guide tours around the area, helping you to discover the fossilized remains of ancient lifeforms that dot the beaches. Check out. 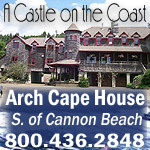 www.oregonfossilguy.com or call 541-961-1762 for more information on costs and arranging a time. There's good news for all you Internet addicts or business travelers. 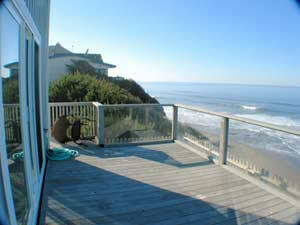 These days, most coastal lodgings now have either wireless, DSL or high-speed available in all the rooms. Sometimes, there’s a combo of two of them. Pretty much all larger facilities have this, while the majority of smaller lodgings have some sort of access available now. Gone are the days when only the larger hotels had it, and then only in a public area. It’s almost everywhere these days. Also according to Newport's beach expert Guy DiTorrice, the best beach access for getting a sunset shot or birdwatching in Newport is at NW 68th St. Plus there are great minus-tide tide pools there, he adds. You'll find that a bit north of Yaquina Head. Both DiTorrice and Newport official TC Caldwell pair up on advice for one heck of a scenic ride just outside of Newport: both tout the Yaquina Bay Road between Newport and Toledo. DiTorrice says it has "excellent scenery, plenty of turnoffs, lots of birds and no crowds." While Caldwell notes the remains of the 1885 Oregon Pacific Railroad can be seen there, and that: "Oregon Oyster Farms is the state's oldest - established in 1907. They ship anywhere in world." 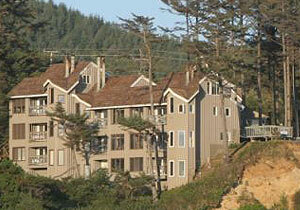 It can be found 6 miles east of the Embarcadero on Yaquina Bay Road . Call: (541) 265-5078. Caldwell adds that the largest concentration of waterfowl in Yaquina Bay is found at Sally's Bend. If you're looking for more waterfowl, Lincoln City's Visitors Center says that Devils Lake has a greater density of waterfowl than "any other wetland habitat on the Oregon Coast." They add that Lincoln City "has more motel and hotel rooms than any town on the coast between San Francisco and Seattle." 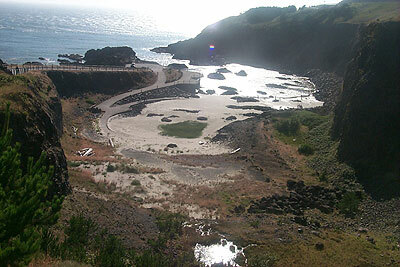 Caldwell also says that Newport's Yaquina Head Outstanding Natural Area has the only handicap accessible tide pools "west of the Mississippi, maybe in the US." You can find these concrete pathways meandering down around the manmade tide pool area, allowing close-up viewing by anyone in a wheelchair. 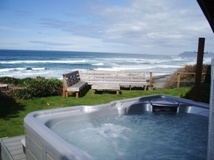 There's also a handicap-accessible viewing deck at the very edge of Lincoln County, just south of Yachats. You'll find the platform at Cook's Chasm, immediately south of the Devil's Churn. In Lincoln City, Devils Lake State Park offers wildlife kayak tours. Contact state park officials for more on those. In Pacific City, there's a new program of nature walks. The Birding and Wildlife Hikes group meets every last Saturday to explore lakes, rivers, bays, estuaries and forests in that area. There are also guided tide pool walks, plant hikes and a variety of nature workshops and children's programs. They happen on various dates until October and usually meet in Pacific City. (503) 392-6134. The Hatfield Marine Science Center in Newport offers daily estuary walking tours. (541) 737-8935. But there's more to walks in the area. There’s the Audobon Ten-Mile Creek Sanctuary Tours. Learn about restoration and temperate coastal rain forests with manager Paul Engelmeyer, (541)547-4227. Variable price for tour groups.